Kuviopaperit ovat molemmat digipapereita; alempi Pumpkins & Posiesin ja ruusukuosinen Far Far Hillin. Kuvan, joka on siis Beccy's Placen Spring Window, väritin promarkereilla (Cocktail Pink - Dusky Rose - Olive Green) ja spectrum noireilla (EB2 - GB8 - GB10). Kuviopapereiden ja kuvan reunoja sävytin hieman FiberScrapsin walnut-sävyisellä musteella. Pitsin olen ostanut jo tovi sitten, mutta nyt se pääsi ensimmäistä kertaa korttiin asti. Both designer papers are digital ones; lower one is from Pumpkins & Posies and rose patterned from Far Far Hill. Image, which is Spring Window by Beccy's Place, is colored with ProMarkers (Cocktail Pink - Dusky Rose - Olive Green) and Spectrum Noirs (EB2 - GB8 - GB10). Designer paper and image edges are slightly distressed with FiberScraps walnut ink. Lace I have bought a while back but this is the first time it is used on a card. This is so pretty. Loving that fabulous image and your colouring here. OMG... this is just fab! I love the Image and the colours. Very nice idea with the lace! Really lovely creation. 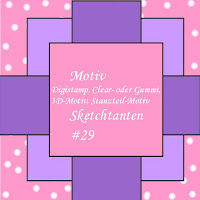 Thanks for playing along with our Do-Al(l) Kreatives Challenge and Sketch Aunts Challenge and good luck! Oh wow I love this, so pretty. The image is stunning love your colouring. Great how you have used the lace to follow the sketch. Ganz toll gemacht. 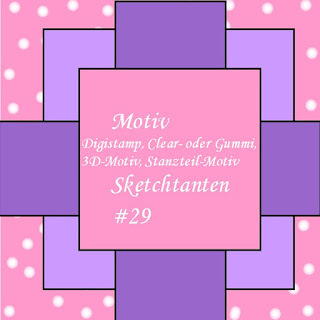 Danke für deine Teilnahme bei den Sketch-Tanten und der DA-K.
Cherry blossoms... The colouration fits wonderful. Obviously the sketch was really helpful. Wonderful card. Love all the flower details. Thanks for joining us at Do-Al(l) Creatives. Beautiful spring window! Lovely design. Thanks for playing along in the "Welcome Spring" challenge at Frilly and Funkie! Lovely spring scene with gorgeous colouring. Thanks for joining us at Frilly and Funkie. 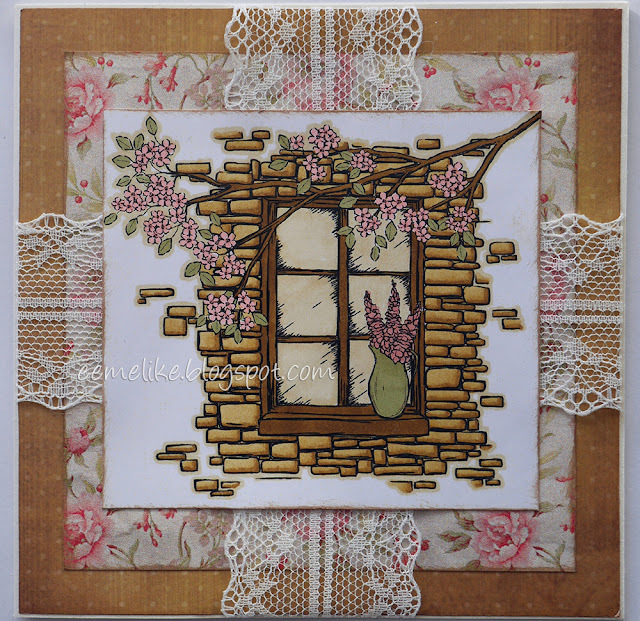 What a lovely card you have made here which fits perfectly the Ching-Chou Kuik Digital Stamps Inspiration and Challenge Blog Monthly Challenge this month of “Easter/Spring”. Thank you for entering and best wishes in the draw. Kym (Ching-Chou Kuik Digital Stamps Design Team Leader). Beautiful card!! Thanks so much for participating in our IF YOU GIVE A CRAFTER A COOKIE... challenge. Hope you participate in our next challenge!! Have a happy crafty day!!! Lovely card - the lace really sets off the image. Thank you for joining in the Ching-Chou Kuik Challenge this time. Apologies for the late comment though - life got in the way last month! This is a beautiful card, Eemeli. You have made a fabulous take on the sketch and created such a beauty!